If you are experiencing chronic back pain, relief from your suffering is probably one of your highest priorities. Perhaps you have visited your doctor before in search of treatment, only to find your symptoms recur over time. Maybe your symptoms have even worsened. There are two basic ways of looking at your back pain. 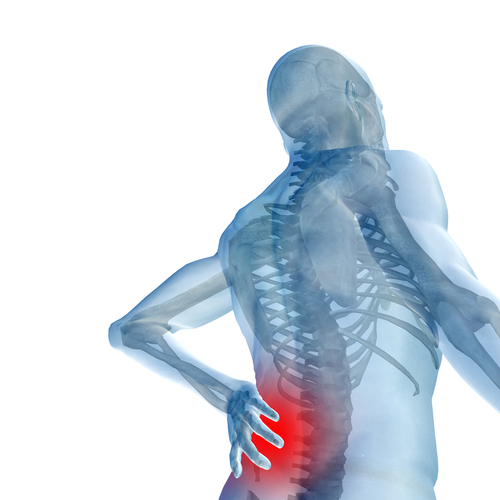 According to the Western model of medicine, back pain is a condition to be treated. Your symptoms are diagnosed, and a treatment plan is configured in response to that diagnosis. If that treatment plan is successful in relieving or eliminating your symptoms, you are declared healthy - at least until those nasty symptoms pop up yet again. Through the lens of functional medicine, your back pain is not a condition in itself, but rather a signpost to a deeper, more fundamental problem within your body. In order to achieve optimal health, you cannot address only the symptoms - the back pain - but the underlying source of your back pain. At the practice of Dr. Bret Mosher, we are more concerned with how your body functions optimally, and what is causing it to malfunction. Until the source of your pain has been addressed, you will continue to experience a variety of ailments stemming from this source - not only back pain, but other maladies that interfere with your everyday functions, as well. At Mosher Health in San Diego, acupuncture is one of several back pain therapies we offer. We invite you to schedule a full exam with Dr. Mosher so that he can evaluate your health through a variety of diagnostic tests and customize a treatment plan specifically for you. In order to understand how acupuncture can help to restore you to optimal health, you must first understand the concept of Qi. Qi is the energetic substance in your body that creates and controls all of your functional activity. This energetic substance flows through pathways called meridians. When the meridians become obstructed, Qi cannot flow properly, manifesting in symptoms that we recognize as disease and disorders such as back pain. Acupuncture is one of the most effective ways to clear blockages in the meridians and restore the free flow of Qi. This is not to say that acupuncture will be the only therapy prescribed in your specific case; changes in your diet, herbal therapy, and certain exercises may also be essential to optimizing your health. What you can be assured of is that your health plan will be 100-percent unique to you and your core issues. The Mosher Health System is not a static approach to health and wellness. It is fluid and adaptable, like the human body itself. The purpose of the system in your case will not be simply to “fix your back”; rather, it will be to re-establish the proper flow of energy, and thereby attend to the degradation of your body. The back pain is akin to a cry for help being issued by your body. Unlike Western doctors, we will not simply tell your body to be quiet; we will give it the help it needs to function in a healthy way. Contact our practice today.